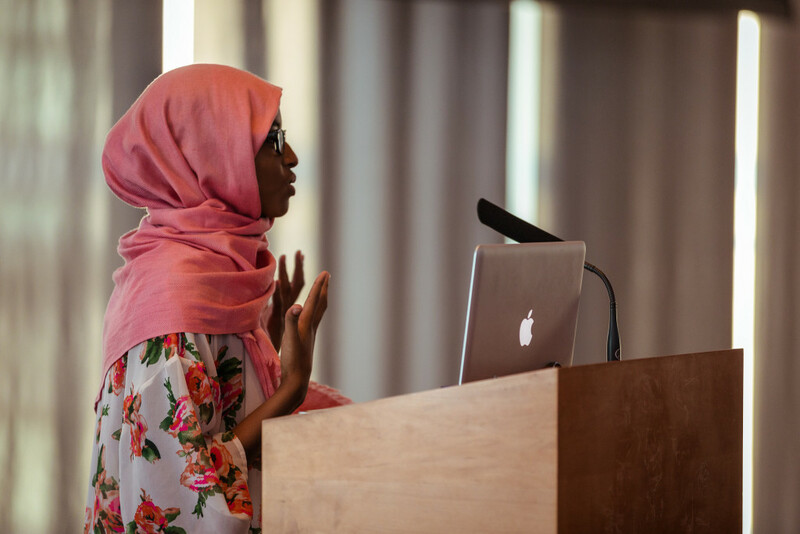 Faduma Haji, Youth Council Lead, presented on behalf of the UC San Diego Youth Advisory Council (YAC) as well as a key leader for the East African Girl Scouts this October at the fourth annual UC San Diego commemoration of United Nations International Day of the Girl Child. The event was hosted by UC San Diego Center for Gender Equity and Health. 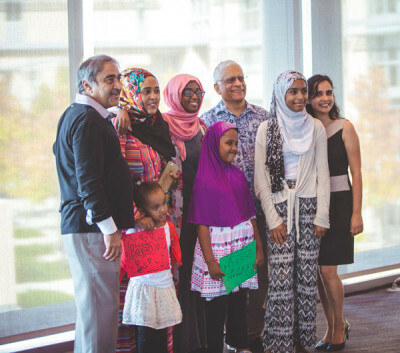 Pictured – Back row: Chancellor Khosla, UCSD ; Amina Sheik Mohamed, Senior Manager, UC San Diego – Center for Community Health; Faduma Haji, Lead, UC San Diego Youth Advisory Committee; Executive Vice Chancellor Subramani, UCSD; Dr. Anita Raj, Director of UCSD’s Center on Gender Equity and Health. Front Row: members of the East African Girls Scouts. The festive atmosphere of balloons and music wasn’t the only aspect that caught my eye, but the long string of booths that focused on one, uniform, subject—the young female. The International Day of the Girl Child was fully recognized by the University of California, San Diego through a well-hosted event. The celebration brought together a number of organizations, community groups, clubs, and other nonprofits to present their work in progressing the girl child. The informative stands and smiling faces, revealed that their efforts were making an impact. Through the several photos of Malala and Anne Frank, I saw the diversity of endeavors within the room. From photography to high school clubs, it was captivating to see the different groups and what they had to offer in the support, aid, and prosperity of young girls. Not only in San Diego, but everywhere. Various speakers told their stories, viewpoints, and experiences in such a way that was awe-inspiring. The diverse cast of performers represented their various cultural backgrounds through brilliant displays of expression. During the event, I had the amazing chance to meet the chancellor and vice chancellor of UC San Diego. When my time came to address the audience, I was both exhilarated and agitated—a rarity in my case. 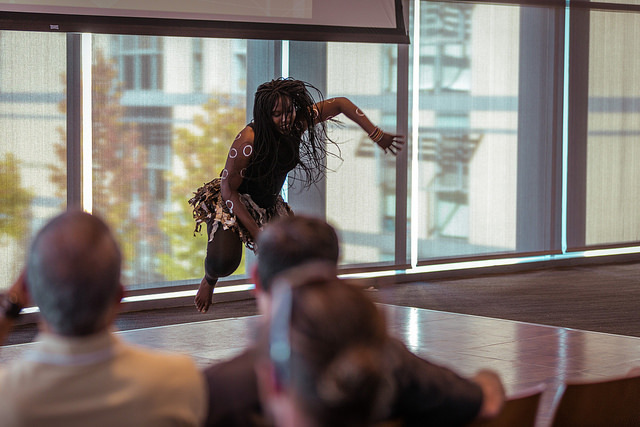 Nevertheless, my emotions at the time did not keep me from sharing my experience in the East African girls scout troop and as a member of UC San Diego’s Youth Advisory Council. The tension I held at my seat slowly drained away as I reached the podium, and at that point, I spoke from the heart on matters I dealt with in my community, why I chose to deal with them, and how those compromises affected me as an individual, youth, and girl. In all, the chance to share my story at the international day of the girl child was a worthwhile experience that evoked my pride as an adolescent female. 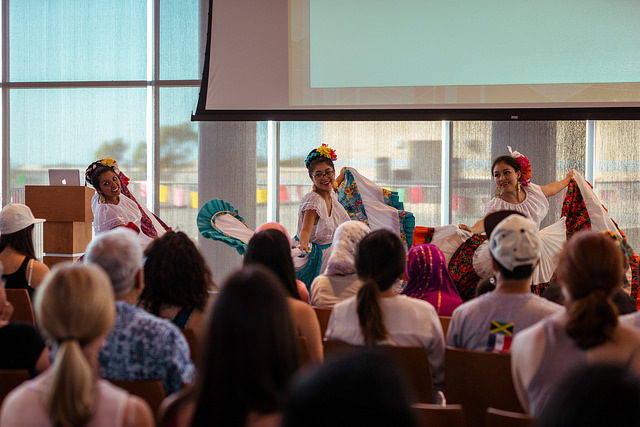 The fourth annual UC San Diego commemoration of United Nations International Day of the Girl Child was held over the weekend, featuring speakers, performances and activity booths. 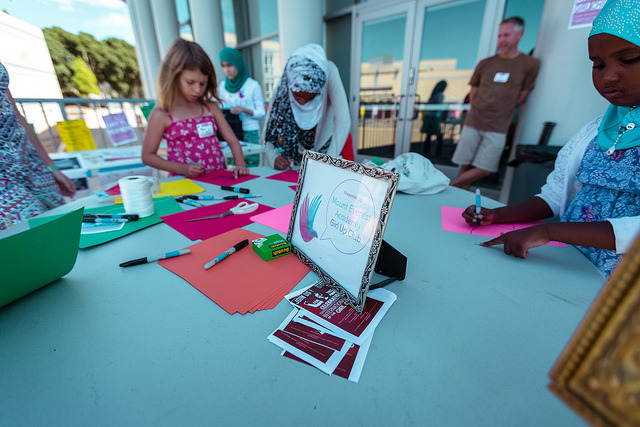 The event’s goal was to empower women and girls, and to raise awareness about the need for equitable treatment. 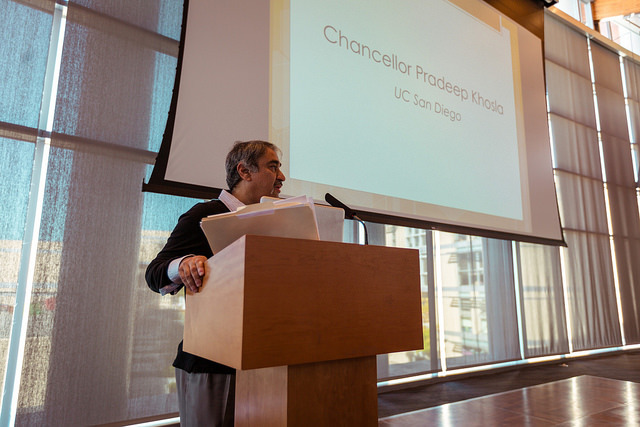 During welcome remarks, Chancellor Khosla talked about UC San Diego’s top scholars who are at the forefront of this academic work, conducting research in the areas of girl-child marriage, gender-based violence, family planning and maternal health, and economic empowerment. He said we need to continue to work together, across disciplines, to address these types of global challenges. Previous Article: NEW VIDEO – HARVEST OF THE MONTH!